IITA is privileged to have worked with two very distinguished and outstanding individuals: the late Prof Bede Nwoye Okigbo, one of the most prestigious scientists in the African continent, and Dr Barnabas Sanyaolu Oloruntoba, the father of Nigeria’s agricultural development. 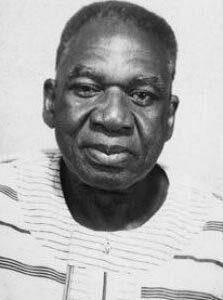 Dr Okigbo had served as the first Nigerian assistant director of IITA, providing research leadership of the Farming Systems Program from 1974 to 1977. 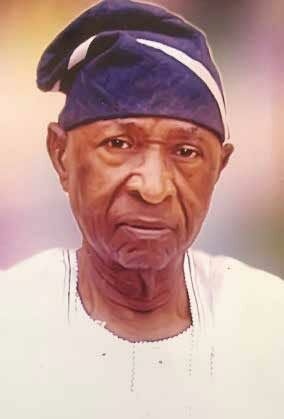 He was also the longest serving Deputy Director General of the Institute, serving from 1977 to 1988. Considered as Nigeria’s foremost agronomist and one of Africa’s leading botanists, Dr Okigbo is a world-class scientist. His knowledge of African botany, his education, and experiences had greatly contributed to intellectual development in biodiversity and agriculture and the enhancement of agricultural science in Nigeria. The son of an Ibo farmer in eastern Nigeria, Dr Okigbo obtained a doctorate degree in agronomy from Cornell University, and was known as the “African Agricultural Encyclopedia” by colleagues. Former colleagues marvel at his huge and wide-ranging knowledge about African plants and agriculture in general. He was the “go-to” expert for botanical information and agricultural science. As a research administrator he provided leadership of IITA’s research agenda in the late 70s and 80s, and helped lead the development of IITA, which at that time had a very strong program on crop improvement and natural resource management with a focus on farming systems. We thank Dr Okigbo for having been part of IITA, and for his invaluable contributions as a first-class scientist and research administrator. IITA had been looking forward to celebrating our 50th year anniversary in July with him in attendance. Dr Oloruntoba served as the Vice Chair of the IITA Board of Trustees from 1976 to 1978 in his capacity as Permanent Secretary of Agriculture (1975-1979) at the Federal Ministry of Agriculture and Natural Resources, Nigeria. As the father of Nigeria’s agricultural development and a pioneer in agribusiness, Dr Oloruntoba epitomized the qualities of a visionary who knew that agriculture would always be the mainstay and driver of Nigerian development. His leadership, education, and experiences in the early years of his career and during the Nigerian civil war had greatly contributed to the development of the agricultural sector in Nigeria. and India in the 1960s and 70s will always be remembered and given importance. His important role and his vision for the development of agriculture and agribusiness in Nigeria had facilitated the support of the Nigerian Government, and had helped IITA evolve into a premier international center for agricultural innovations. We thank Dr Oloruntoba for helping to make sure that IITA is here to stay in Nigeria, and to continue to do what it does best—helping improve the lives, health and nutrition, and profitability of smallholder farmers. That Nigerians have started embracing agriculture is a statement of fact. But information on where to get hybrids of cultured crops is still scanty. If not, can I be provided with information on where to get hybrids of maize, cassava, plantain, soya bean e.t.c. I am interested in engaging in commercial mechanised farming, where do I turn to for infrastructure and technical support? Hello Kunle. Thank you for your message and interest in farming. At IITA we offer support through our IITA Business Incubation Platform (BIP) – https://iitabip.org/ . You may contact our IITA Youth Agripreneurs – http://youthagripreneurs.org/, for on hybrids of various crops via this email – IITA-Agripreneur@cgiar.org. Thank you. Thank you for the prompt attention. I appreciate.